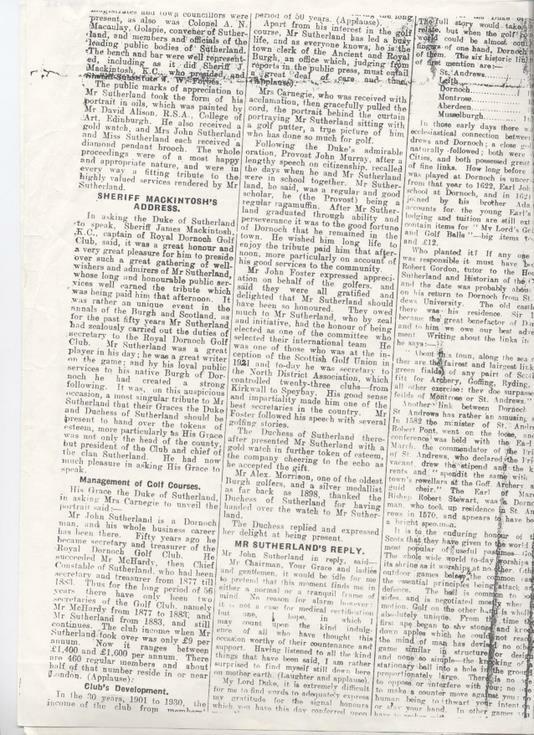 Photocopy of page from Northern Times 7/9/1933 with long article on a presentation to John Sutherland, town clerk of Dornoch and secretary of Royal Dornoch Golf Club. The copy is crooked and the bottom of most of the columns is missing. 2 loose sheets.